Positioned in Udonthani‘s city center, Charoen Hotel is in the vicinity of shopping and entertainment areas and medical services. With its ideal location, only a 10-minute drive from Udonthani International Airport, visitors to the hotel will just love its location. Charoen Hotel is home to 239 guestrooms and suites catering to meet the needs of all types of travelers. Facilities at this hotel include three restaurants, a bar, karaoke, disco tech, beautiful outdoor swimming pool next to the botanic garden, fitness center, meeting rooms, and ballrooms that can accommodate up to 1,500 guests. A buffet breakfast offers a wide range of choices to energize your day. Charoen Hotel has developed an expertise in delivering value added services in order to create an enjoyable experience to every precious guest. 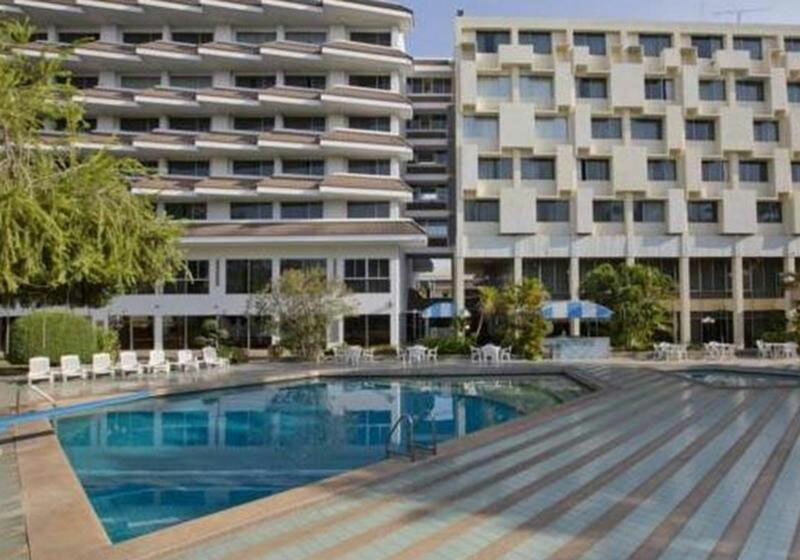 Short Description: Positioned in Udonthani's city center, Charoen Hotel is in the vicinity of shopping and entertainment areas and medical services. With its ideal location, only a 10-minute drive from Udonthani International Airport, visitors to the hotel will just love its location.